It's been less than a week since the elephant Raju's rescue, and he's well on his way to recovery, says Nikki Sharp, the executive director at Wildlife SOS-USA. But at the Elephant Conservation and Care Center at Mathura, India, Raju has a second chance for a better life. 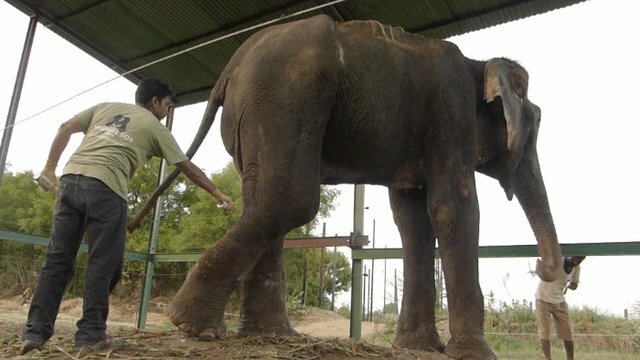 Here, veterinarian Yaduraj Khadpekar administers medicine to Raju's wounds. On the other side of the pen, you can spot a mahout feeding Raju bananas. The bananas help get the elephant get habituated to the treatment, Sharp says -- they'll associate medicine with a tasty snack. 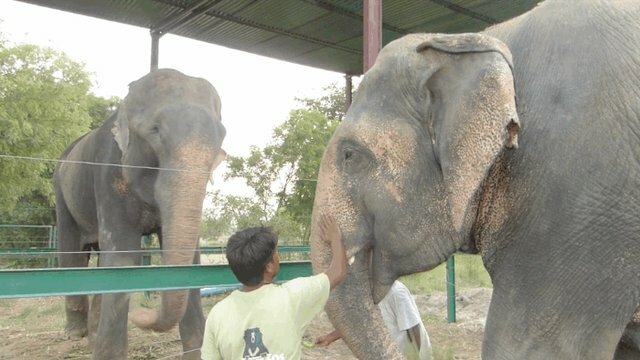 Raju, left, with Phoolkal, an elephant who comes from a similar background as Raju. The two are quickly bonding: "It's interesting to see who naturally bonds with who," Sharp says. Once Raju's infections heal, he'll be able to cool off and exercise in a swimming pool, Sharp says. He'll also go for two hour walks each morning -- a welcome way to stretch his unchained legs.